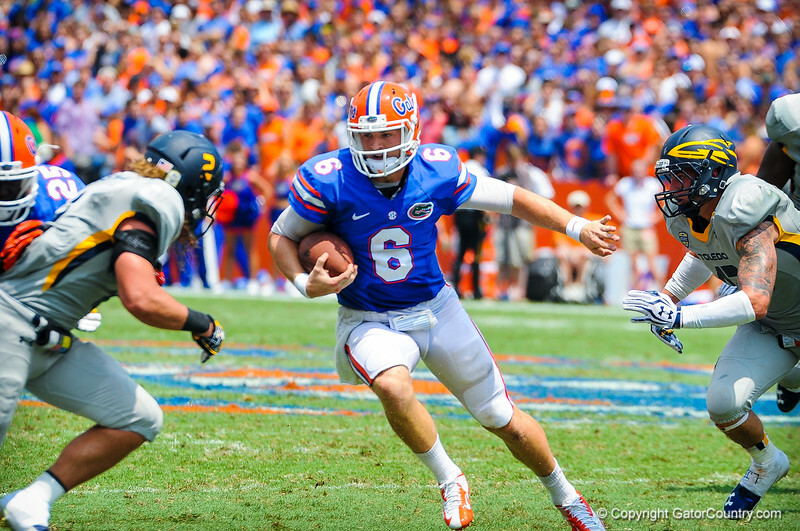 QB Jeff Driskel takes off on the run. Gators vs Toledo. 8-31-13.